The Monte Cinto is the highest summit on the island, it is 2706m alt. It is accessible from both the Niolu valley and Haut Asco. The GR20 leads from Haut Asco, which is a ski station, up to the Monte Cinto flanks and over the ridge. If you want to do the summit, you have to add on extra time and it is off the actual GR trail. Following a tragic accident in the Summer of 2015 this new itinerary has replaced the original Cirque de Solitude route. It has been waymarked in red and white and at the time of writing this, it is the official and permanent route. You can walk up to the Monte Cinto summit from the ski station Haut Asco which is accessible by car. 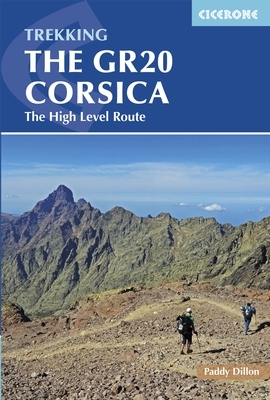 The walk is now officially part of the GR20 and is way marked red and white up to the ridge but not up to the summit itself. From Haut Asco to the summit and back is about 12km, 1400m up and 1400m down. In good weather and walking at a regular pace, this is a full on day walk. From Asco Stagnu, you set out from the car park and walk upstream, along the Tighiettu mountain torrent. You will come to Bocca Borba at 2300m and then the Pointe des Eboulis at 2607m. Here you separate from the GR20 you turn left in the direction of the ridge. The itinerary will take you down hill some way before you attack the last pull up to the summit. It is also possible to do the Monte Cinto from the South side, however, for this you set out from the Refuge de l’Erco but you need a ride in a 4 wheel drive to get up there. The Spasimata swing bridge is a beauty spot. This big bouncy bridge takes you across the Spasimata river. The slabs of granite lead into a stunning enclosed ravine as the GR20 makes its way towards the Muvrella mountain. These are two beautiful glacier lakes situated one above the other at the top of the Restonica Gorge. The lower lake, Melo earns its name from its shape, which is that of an apple. It is situated at 1710m and is 20m at its deepest point. It is frozen for 8 months of the year. The Cascades des Anglais is a series of rock pools and chutes of water that make up the river l’Agnone. The Col de Bavella is a road pass that is situated at 1218m altitude. It is marked by a statue of Notre Dame des Neiges, there is a panorama of granite peaks and forests. The Lac de Nino lake is situated between Castel di Vergio hotel and Manganu refuge. It is the source of the Tavignano river, situated between Castel di Vergio hotel and Manganu refuge, it has a surface area of 6.5 ha. The Breche de Capitello is a high mountain pass, situated at 2200m. It is a spectacular view point and can be snowed in early June.